Discovery Harbour is pleased to offer various services in additional languages to enhance your visit. Our site maps are available in English and French. Our Concluding Audio-Visual Presentation is available in English and French. 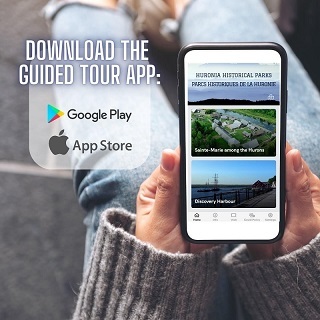 Available in English, French, German, and Spanish, the Audio Wand is just $3.00 per person during the summer season, and free during the Spring season, allowing you to take a personal tour of Discovery Harbour.